LIKE any self-respecting gardener, Rebecca Stephens can turn her hand to design. But unlike probably any other gardener, she actually has a degree in design - not of the gardening variety, but the corporate logo one. But the graduate in Applied Graphics Technology from Glasgow Caledonian University found herself in a Catch 22 situation when she started looking for work after graduating - she needed to demonstrate experience, but was not getting the opportunity to acquire any. And so she turned her attention towards a long-held love of gardening, enrolling on a horticulture HNC course at a local college. Since June she has been self-employed, offering year-round garden maintenance - from planning and planting to border and lawn care. And her background in design is not entirely going to waste. As well as being able to apply a keen eye for design on any of the gardens she is working on, she need look nowhere when it comes to designing her own promotional material. 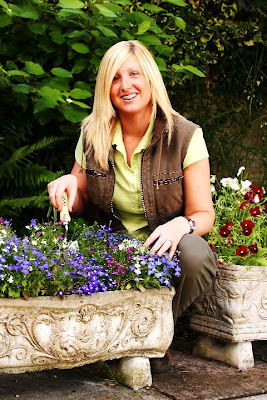 “There are a lot of large gardens in Ayrshire, but when I was doing my market research, I didn’t find there were too many lady gardeners offering garden care, as I was intending. There were a lot of people offering decking, paving and hard landscaping - which I don’t - but no-one, really concentrating solely on garden care. For more information telephone 07771 732 490.